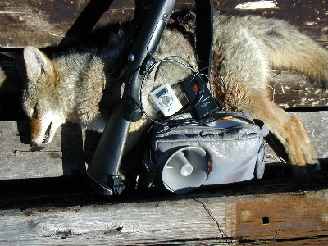 This coyote was called in with MP3 player and wireless microphone. I love this setup and I'm working to improve it. 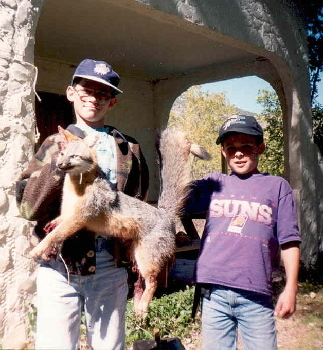 These boys helped recover this fox from some poor shooting. Note the legs nearly blown off. They ended up killing it with rocks. These coati are plentiful in the deserts of Arizona. Houndmen hate them. 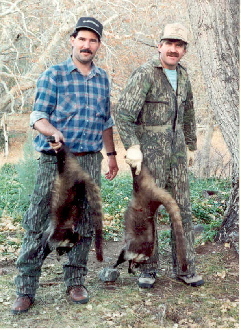 These two have great pelts and make an outstanding trophy. They run in packs and can be called in.